A deliciously cute chocolate wattled bat. Photo by Louise Docker at Atlas of Living Australia. Hello everyone! I hope you all had a good week. I had a pretty good one because it started with a snow day. That’s right, it finally snowed! While it has been cold and wintery here in the US, people in Australia are in the middle of summer. And with Australian summers, come fires. Because there are so many fires burning in Australia right now, I decided to research an Australian bat. There is a cute little bat called the Chocolate Wattled Bat. Unlike most bats living in Australia, these bats are micro-bats! They have milk-chocolate brown fur, which is where they get their name. They also have a pink nose and a cute, squishy face. They like to roost under bark and in tree hollows in south-western Australia. Their diet consists of moths and beetles. And the Chocolate Wattled Bat will hibernate in the winter when the insects aren’t always around. Although south-western Australia isn’t known for being cold, it does get chilly. And with food scarce, they can’t eat enough to keep them warm. 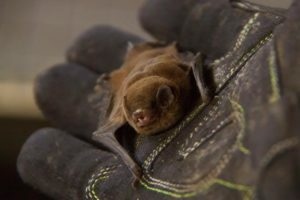 These bats do have a few predators including hawks, owls, cats, wildfires, and humans. If you would like to read more about the Chocolate Wattled Bat, you can find information here and here. Previous StoryShut down the Shutdown!! Save our parks! Save our bats! Next StoryA delightful sac of smell!